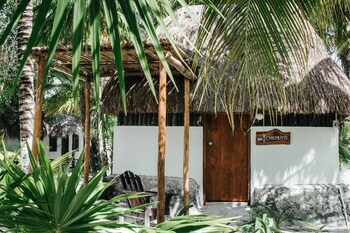 With a stay at Hotel Zazil Kin in Tulum, you'll be within a 15-minute walk of Tulum Mayan Ruins and Tulum National Park. The front desk is staffed during limited hours. A roundtrip airport shuttle is provided for a surcharge (available 24 hours), and free self parking is available onsite. When you stay at Hotel Parador Vernal in Bernal, you'll be 3 minutes by foot from Museo del Dulce. This hotel has 2 meeting rooms available for events. Free self parking is available onsite. With a stay at this villa in Cabo San Lucas (Pedregal), you'll be convenient to Cultural Pavilion of the Republic and The Arch. Free self parking is available onsite. When you stay at this apartment in Puerto Penasco, you'll be within a 10-minute drive of Bonita Beach and Old Port.